This elegant 3000 Geo-Achievement® coin and pin set is plated in 24K polished gold. 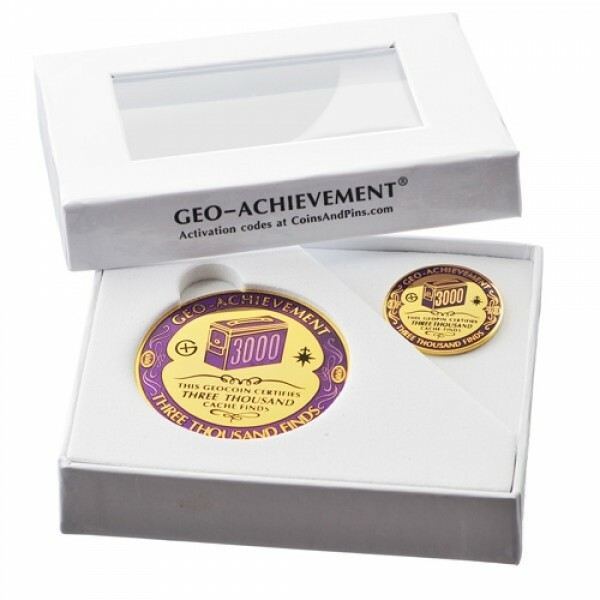 It is perfect for awarding to your friends or family for their geocaching achievements. 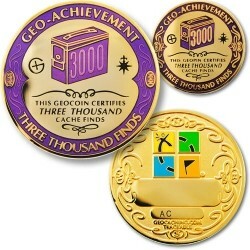 Use the included matching pin to wear at events or while geocaching to show off your cache finds achievement; go ahead, you earned it!